Have some tailor made cupcakes for your little ones birthday parties. Any quantity any design. Cupcake Cutie provide baby shower cupcakes tailored to either baby boy , baby girl or unisex. These cupcakes include edible baby related toppers. Baby rattles , baby toys , baby bottles , baby booties , teddy bears , baby feet , baby bibs etc. Please contact us if you have a particular design in mind , we would be happy to help. 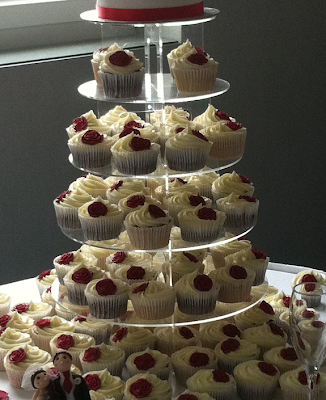 Cupcake Cutie create bespoke cupcake tiers to suit your theme. Any design , any quantity and any budget. 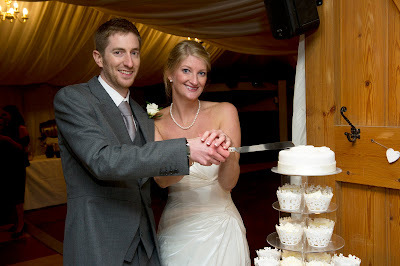 Simply contact a member of the team to discuss your ideas and designs for your celebrations. Ok , so everyone loves vintage chic , check out these vintage cupcakes in the style that Kath Kidson herself would love. With cute edible piped flowers and other pretty decorations. These can be bought in any quantity, gift boxed or on a hire tier. Some brides just love Chocolate so much that they just have to have the chocoholics dream cupcakes for Cupcake Cutie for their wedding cupcakes. 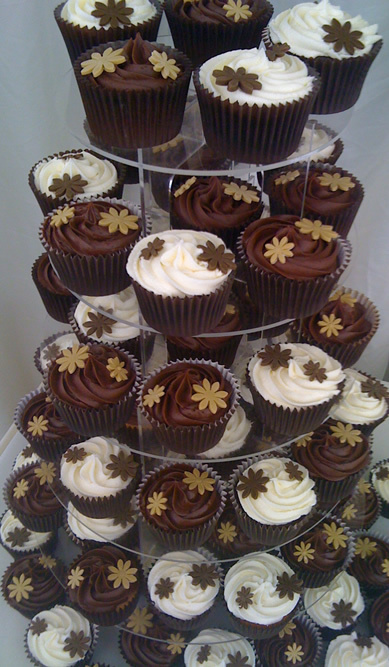 If you would like to discuss prices for the chocolate cupcake wedding cupcakes then please call the team 07960749851 or email us via the website. 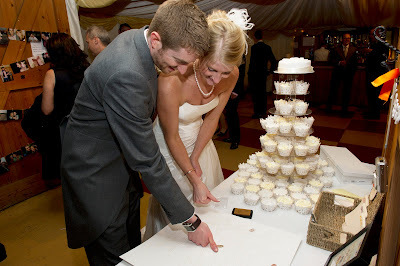 Cupcake Cuties provide wedding cupcakes to suit all wedding themes and designs. You choose your theme, quantity and budget and we will provide you with lots of options for your cupcakes. 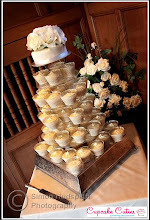 We also provide tiers and cupcake accessories to make your cupcake display look stunning for your wedding photographs. 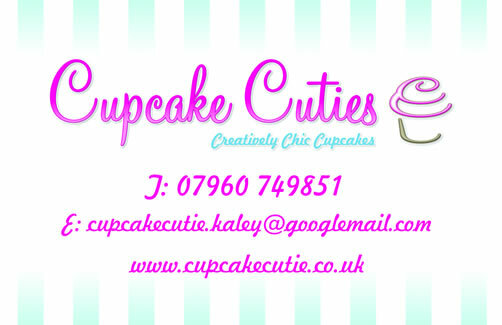 So whether you want something classy and sophisticated, sparkly and glitzy , modern and eye-catching , cutesy and pretty - then we will create the perfect bespoke cupcake for you. Halloween time , and Halloween Cupcakes have been going crazy in the Cupcake Cutie Team. We been busy all week making edible spiders , edible bats , spooky ghosts , witches , pumpkins etc and thoroughly enjoyed all of the tick or treaters last night!! For all of those who celebrated this seasonal occasion thanks for ordering your halloween cupcakes nice and early , and we will be happy to provide your halloween cupcakes next year. This lovely display was created by Cupcake Cutie another happy bride and groom at Whittlebury park hotel .